When I look at our kids, I see my little super heroes. They make it easy because they like to dress up and pretend to be caped crusaders all the time. But their playtime roles are not really what I’m talking about. I’m talking about their beauty, their strength, their innocence, their creativity, their joy, and most of all their ability to love. They inspire me all the time. I think you know well enough to know they aren’t perfect. Neither is their mama. I lose perspective all the time. Sometimes I feel like I’m one whiny plea away from running out the front door without a thought of looking back. I need truths to recenter my heart. I need words that break through circumstances and remind me of the bigger picture. Many times a sweet “I love you” from one of my little super heroes snaps me back. Sometimes a song lyric hits me right where I’m at. Other times I’ll find a scripture that breathes new life and perspective into my funk. I don’t know where you are at in your life with God or if mentioning Jesus makes you uncomfortable. I understand if that’s the case. There’s a lot to be confused about when it comes to faith. But one thing I can tell you, letting the thought that God has a plan for me, he has good things for me to do, and that he calls me his masterpiece take root in my heart has been life changing. 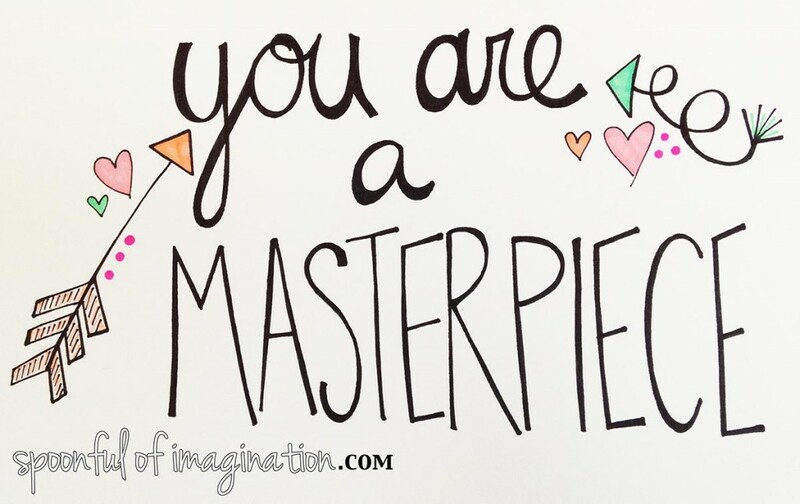 When I doubt, struggle with my shortcomings, and start to believe that I am a failure, I hear that whisper in the back of my head that tells me “You are a masterpiece”. The truth that through Jesus I can be changed and made new, I need that. The hope and belief that my life is about something bigger than me, that was planned long ago, that’s thrilling. I want in on that. 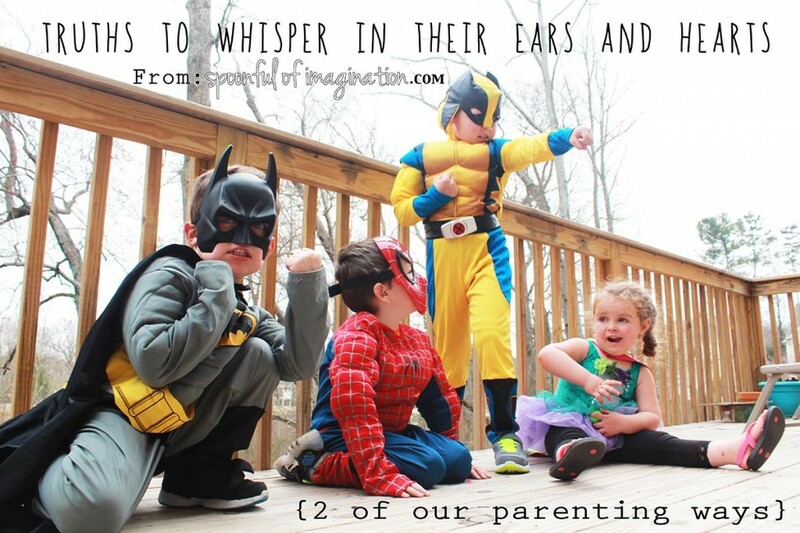 So, when I think about my little super heroes and all that they face and are going to face in this world, I want this thought burned into their little hearts too. No matter what happens, no matter what someone tells them or does to them, I want them to know inside and out that they are a masterpiece. I don’t want them growing up thinking they are perfect, but I do want them to believe they are special. They were made intentionally and they have been invited into a life of hope and purpose regardless of what their circumstances may be telling them in the moment. I love to say “I have a secret for you”. They smile because they know what’s coming as I whisper “you are a masterpiece” in their ears. This is a phrase we say to each other in our house all the time. We have these words hanging all over our house. It’s a beautiful reminder for all of us. It’s our go-to when conflict comes up with the kids. 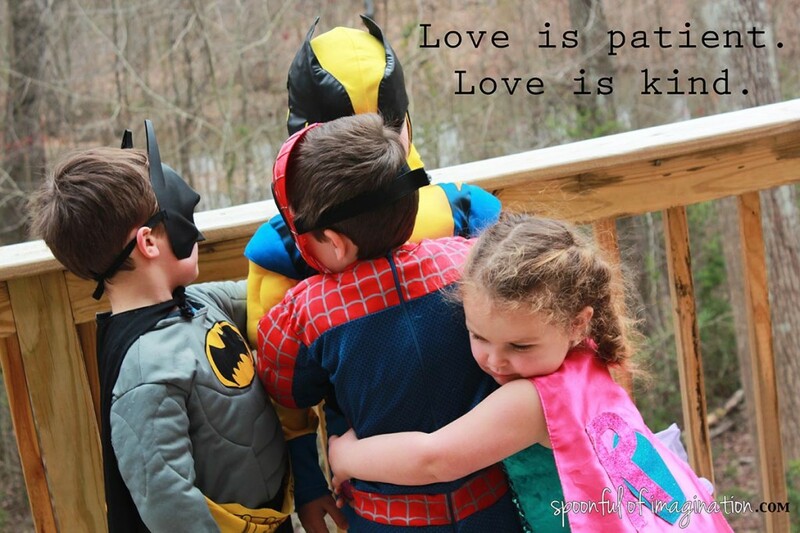 While Caleb knows and can recite most of the passage, the other kids know “Love is patient. Love is kind.” Even our foster son that has been with us for a month has this one down. When tension rises and tempers start to flare over something, someone usually breaks out in a quick reminder “Love is patient! Love is kind!” Sometimes they say it through gritted teeth and locked jaws or with a little eye roll, but they say it and move on. Other times I step in and say “why did you ______? 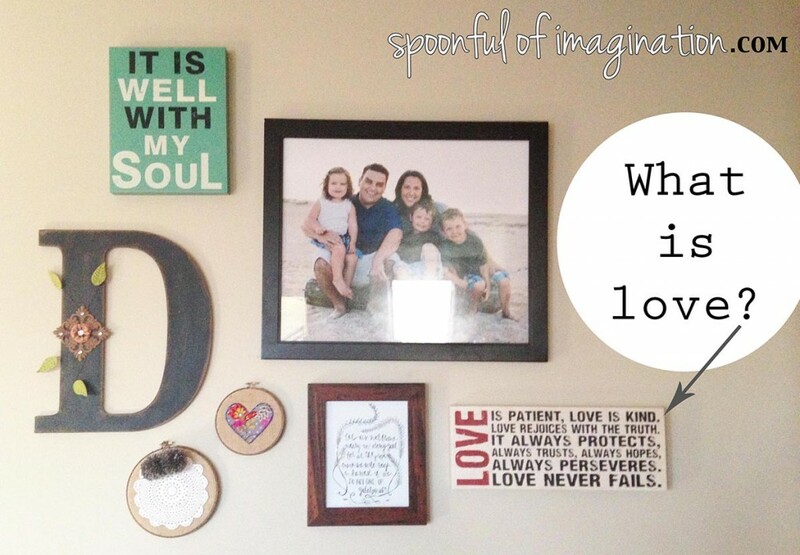 What is Love?” They will answer and my follow up question is always “was _______being patient/kind? (whichever applies)” It gives some reference to go and parent off of. Do you have a special phrase, word, or passage that helps to refocus your heart? I don’t know about you but I need constant reminders and refocusing. 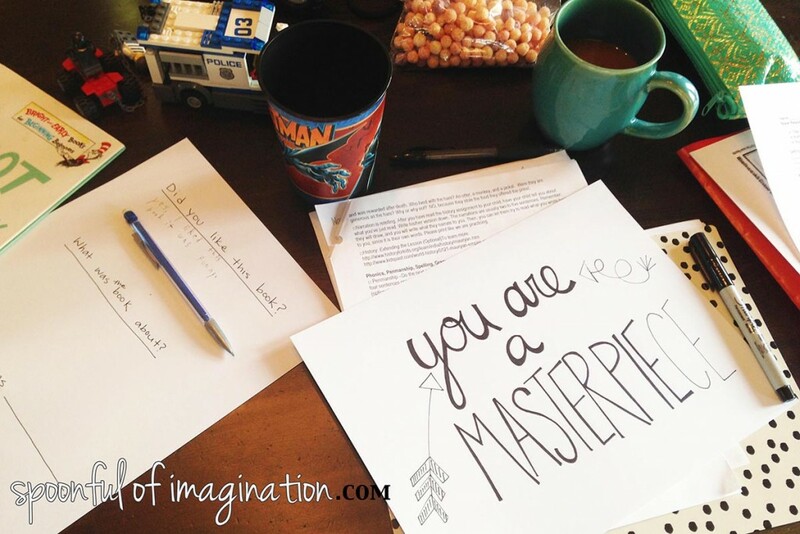 That’s why I created this “You are a Masterpiece” print. Recently I’ve needed reminding. I would like to give it you too. Click here to download it. (Right click and “Save As” on some computers) Feel free to print it out, frame it, hang it up, or pass it along to someone who needs some encouragement. Just do me a favor, let it sink in. Know that you are special. Your life matters. 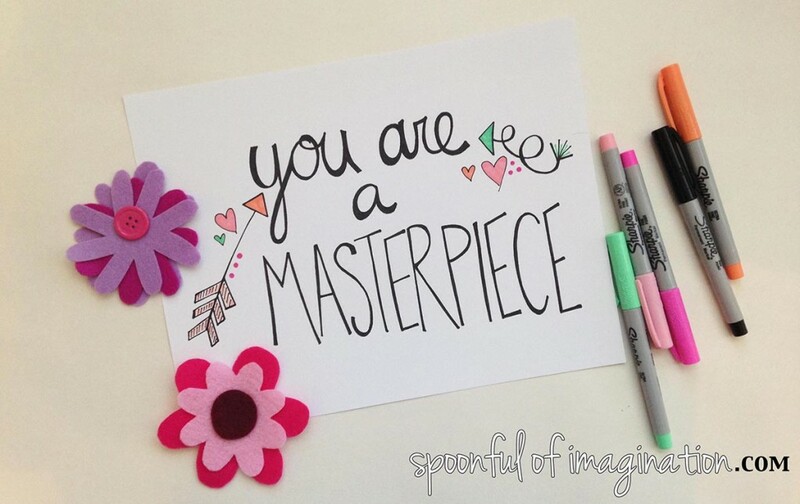 You were created with a purpose and there’s a God who loves you enough to give you the title of masterpiece. Thanks you for the wonderful reminder. Totally needed it today as I prayed this morning. Feeling the mommy failure mindset today. Newly recharged now. Thanks! Beautiful post, Erica. I completely understand what you mean. And there is someone else that worries she is one whiny plea from running out the door? I’m not alone!